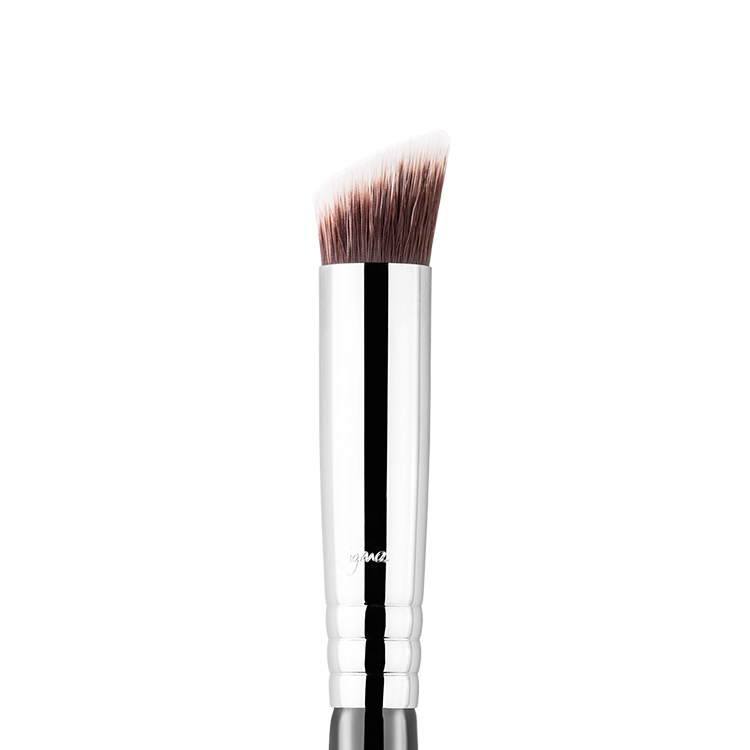 The F15 Duo Fibre Powder/Blush features a duo fiber blend with deep beveled edges. 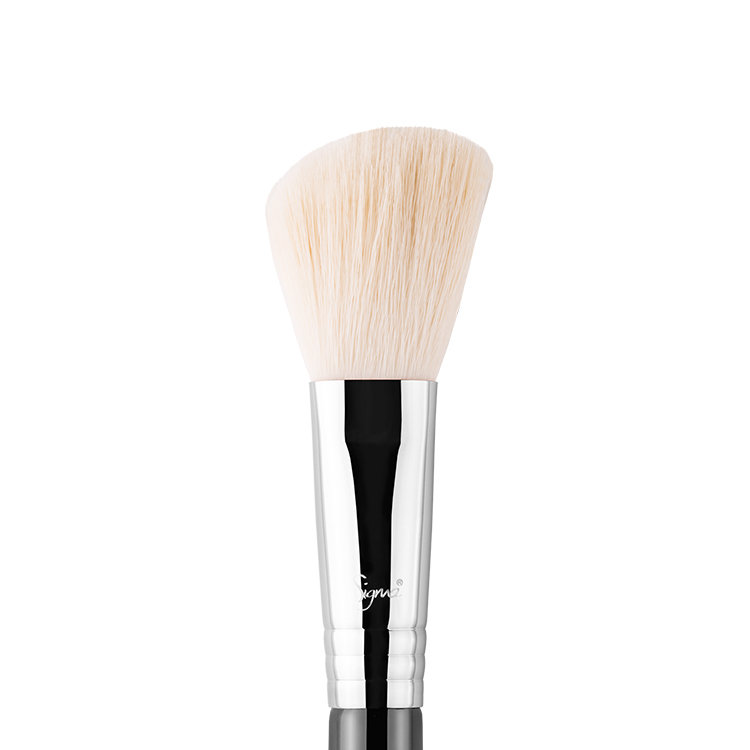 This brush is perfect for application of highlight powder products on the cheekbone and especially well with mineral products to achieve a natural, delicate finish. 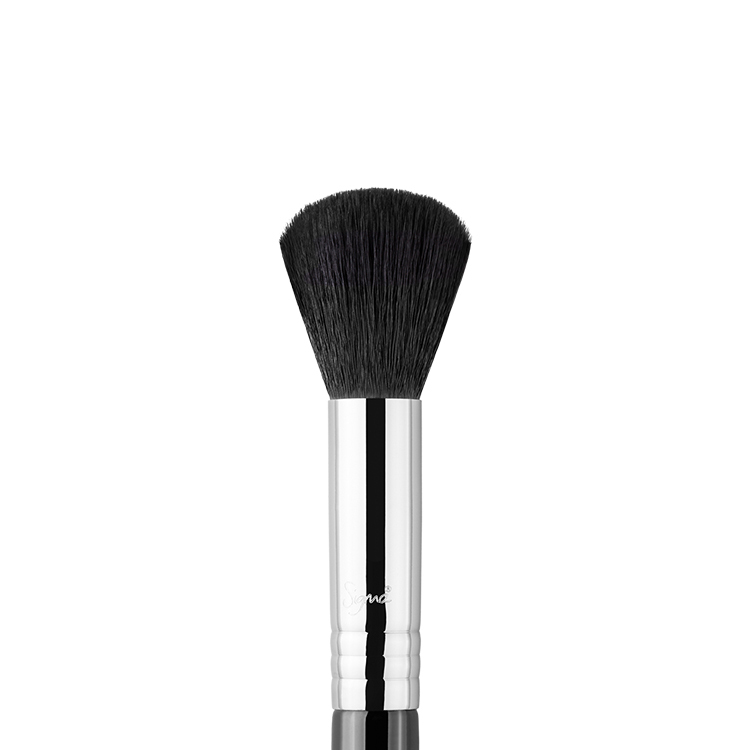 Recommended Use: Generates a diffused blush application. 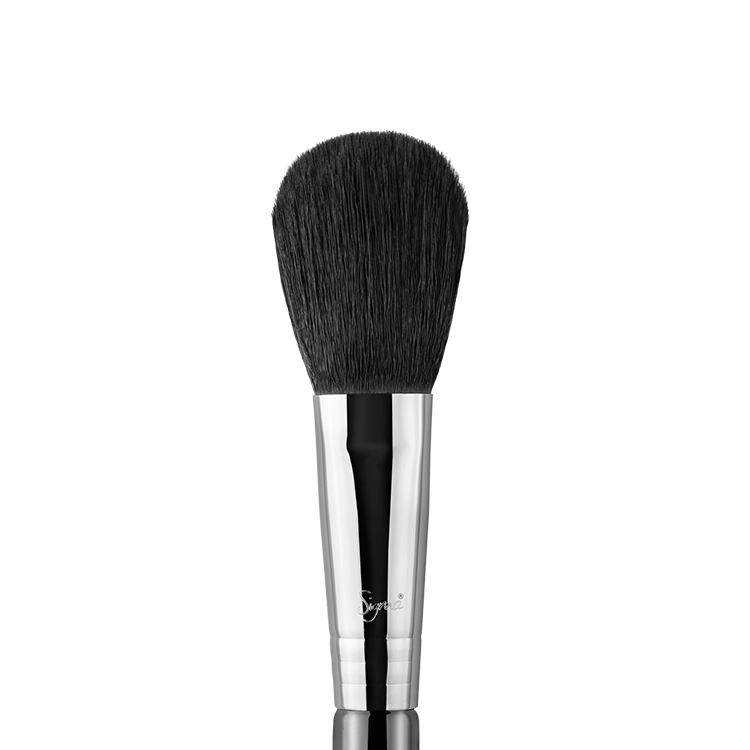 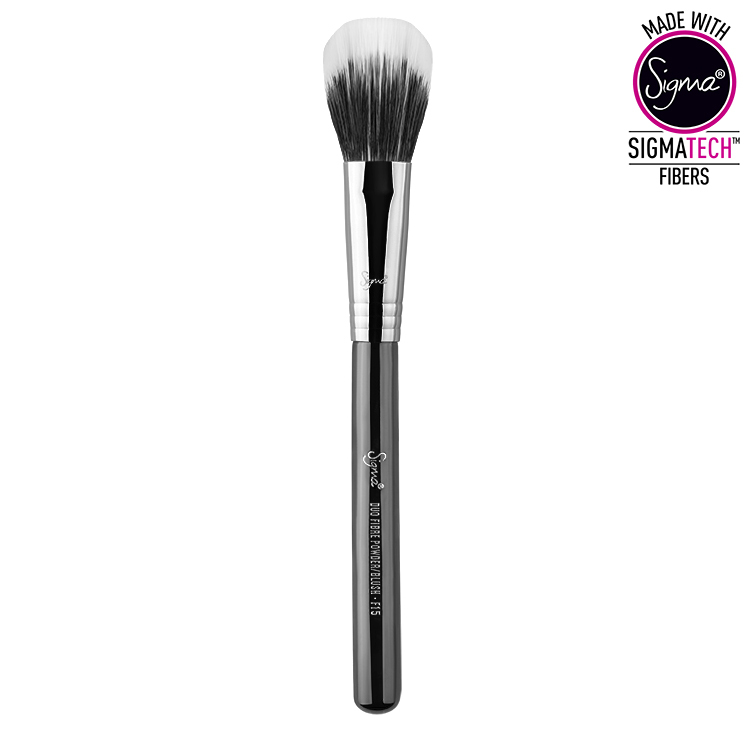 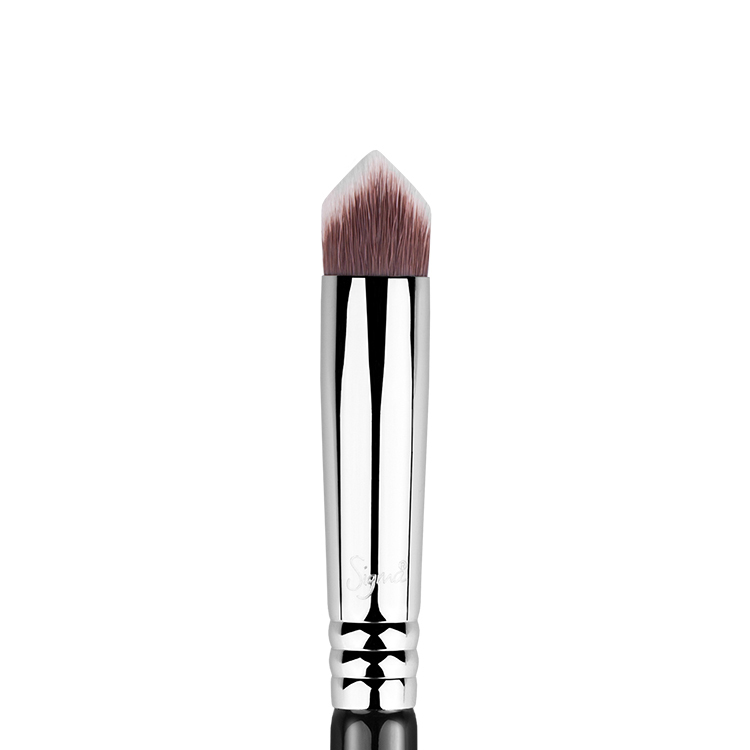 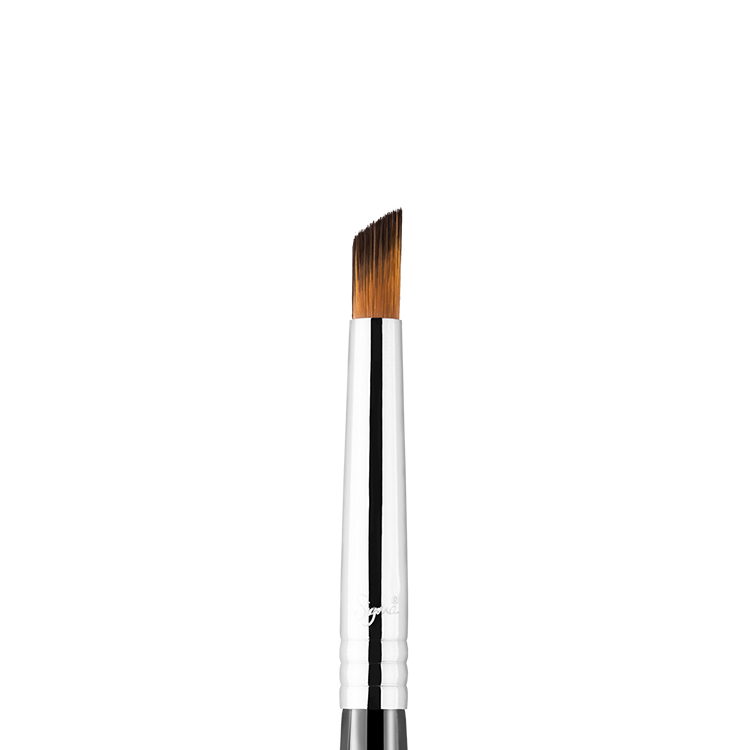 This brush is perfect for applying blush, it picks the right amount and gives a subtle finish. 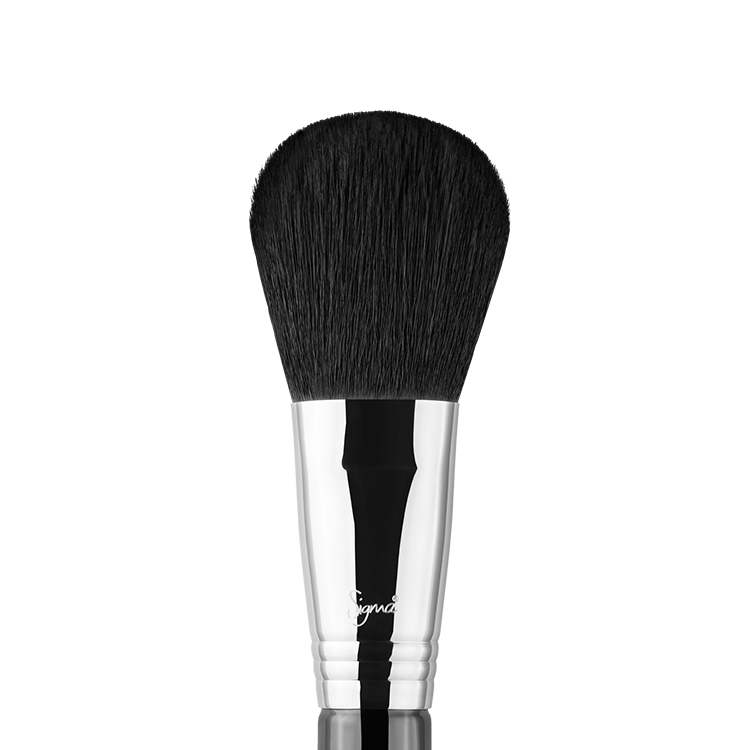 I have used it for applying powder and it worked as good. 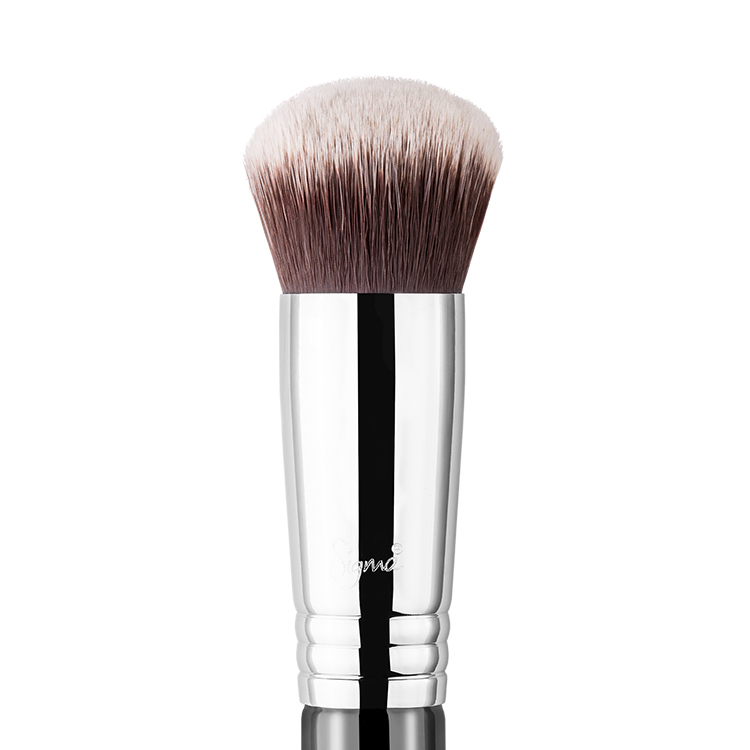 This brush works really well with cream and powder blushes. 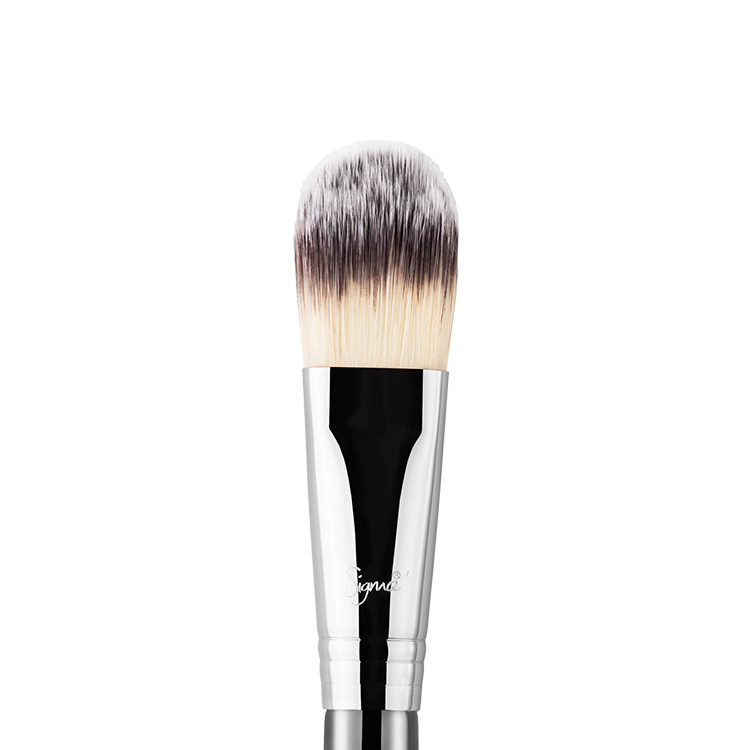 I have also used it on my Guerlain Meteorites Pearls and it picks up the right amount of product. 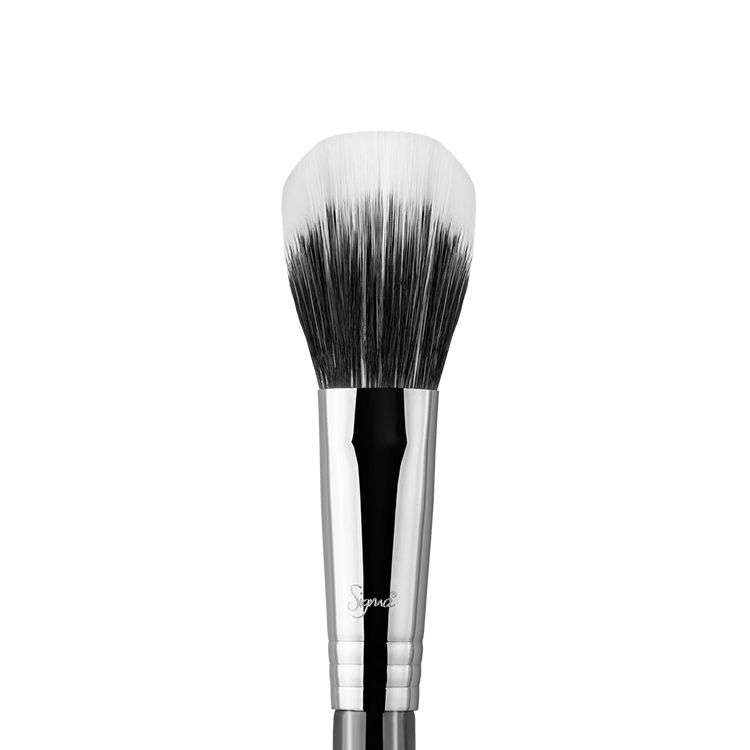 I use this brush mainly for blush. 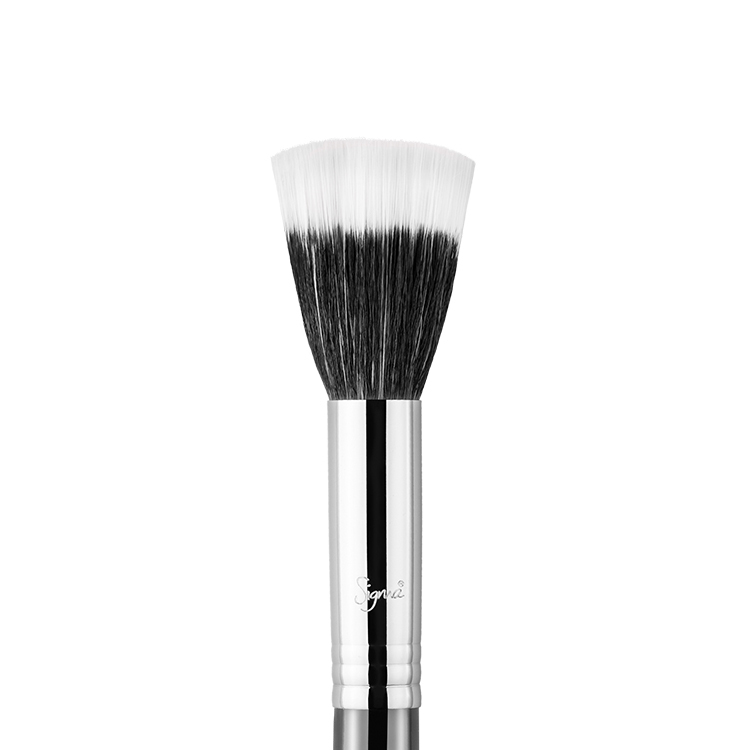 It is super soft and blends in the product on the face without an harsh line.